Your complete resource for all things Cornish. It's all in Focus! Cornwall - small but perfectly formed. Discover secluded coves or walk barefoot on unspoilt beaches. Travel almost 300 miles of dramatic coast. Experience Cornwall's culture and heritage. Relax and feed your senses. Bathe in crystal clear waters or explore sub-tropical gardens. The choice is endless! An afternoon recital at 4pm. Free entry with voluntary collection at the door in aide of CMST. 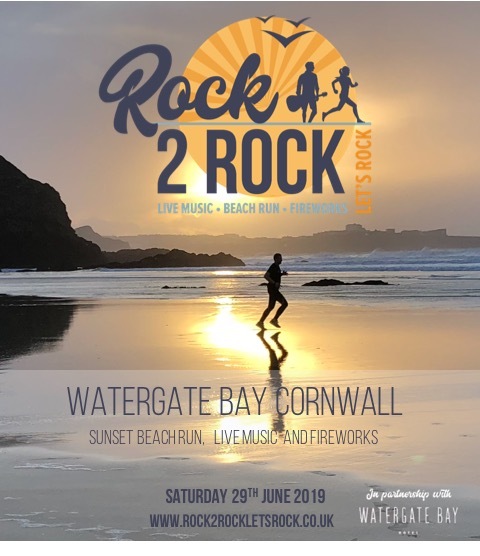 Join thousands of runners at sunset on one of Cornwall's most famous beaches for sunset beach runs, live music and fireworks! Cornwall in Focus has lots more events for the coming months. Cornwall has almost 300 miles of coast to walk at your own pace. We explore the whole coast with walks to suit all ages and abilities. Tre, Pol and Pen... What do all those strange sounding place names mean? Learn more about the ancient Cornish language here. Once the richest area on Earth! 'Fish, Tin and Copper' - Cornwall's Industrial Past unearthed. There are a number of industrial relics remaining to explore. Famed for its beaches and rugged coastline, stretching for almost 300 miles... Surf, swim or sunbathe - With over 150 to choose from, there's a beach with your name on it! Cornwall has a fantastic choice of cottages, from bijou fishermen's homes to grand accommodation suited to large groups. Prefer the all inclusive approach? Cornwall's holiday parks offer something for every family and group.